My first cousin recently moved a stone’s throw from Ocean Springs, Mississippi, pictured above. As I plan a visit to see her as well as our ancestral home, it made me think how so many of us in my family end up back where we started. When I was a kid, I thought for sure that I’d end up living some place far from the home I grew up in like Paris or L.A. At 16, in pursuit of my quest, I spent a year in Brazil as an exchange student but ended up next door to a town called Americana, named for it’s founders who hailed mostly from the Southern states of the USA, just like my ancestors. Since then, I’ve never lived more then an hour from my old stomping grounds where my parents and a lot of my old high school paraphernalia still reside. None of my four siblings have strayed far from the family hearthstone either. One is as close as 15 minutes from my parents, another as far as an hour and a half. I think I’ve inherited this desire to stay close to my roots from my ancestors on both sides. My grandfather, Alonzo Walton lived the last 25 years of his life on a tract of 150 acres of Ozark land he spent a life time accumulating. He shared the tract with his brother, his sister, and his nephew. Before retiring to his childhood home in Arkansas, he lived in New Jersey, less than 10 miles from his daughter and five grandchildren (including me). If it hadn’t been for his Air Force duties stationing him on McGuire’s Air Force Base, I’m sure my grandfather would have never left Arkansas. I loved growing up with my grandparents so close by. They let me wait on customers in their candy store, eat more than my share of Reggie bars (remember those?) and Slim Jims, but most importantly they told me their stories and brought me to their childhood homes in Arkansas and Oklahoma. I got to walk through my great grandfather Bud’s garden with him, his old shotgun slung over his shoulder and eat my great grandmother Marie’s delicious buttermilk pancakes, memories to this day I consider my greatest treasures. The story is similar on my father’s side of the family. My father lived in a house on property that once belonged to my great great grandfather, Col. W.R. Stuart. Census records show that his cousins, the Stuart Smiths lived just down the road. My grandfather, Martin Ford was also born in that seaside town, Ocean Springs, Mississippi as was his mother, Josephine Burton Ford. 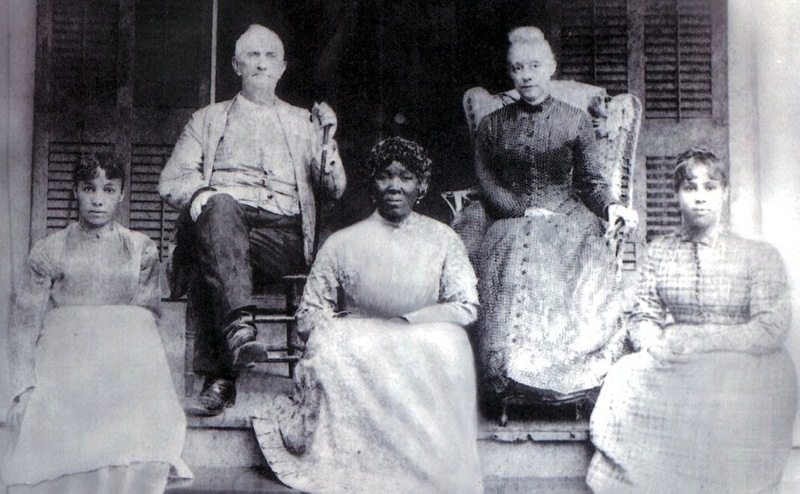 And her mother, Temple Burton lived all of her free life there (she was born a slave), died there, and is buried there in the same cemetery with the colonel, their son, Alfred, and the colonel’s wife, Elizabeth. That’s some interesting eternal company – a master, his slave/mother to his children, one of those seven children, and his wife who couldn’t bear him any children. Whether you’re Dorothy or Toto, a master or slave, I guess there’s just no place like home.